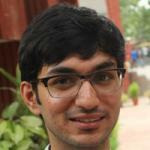 Abhinav has done his Bachelors in Economics from Sri Venkateshwara College, University of Delhi. He is also a CCS alumnus and has previously worked on Mint's editorial team, writing unsigned editorials. He has been the South Asia Programs Manager at Students For Liberty. He is a classical liberal and is interested in advancing the pro-liberty movement in the country.